The LIFX Smart Bulb is a Wi-Fi enabled Light Bulb that doesn’t require a hub to be set up in your home. It’s one of the few that have this advantage. Simply purchase the bulb, plug it in and set up with the provided app. 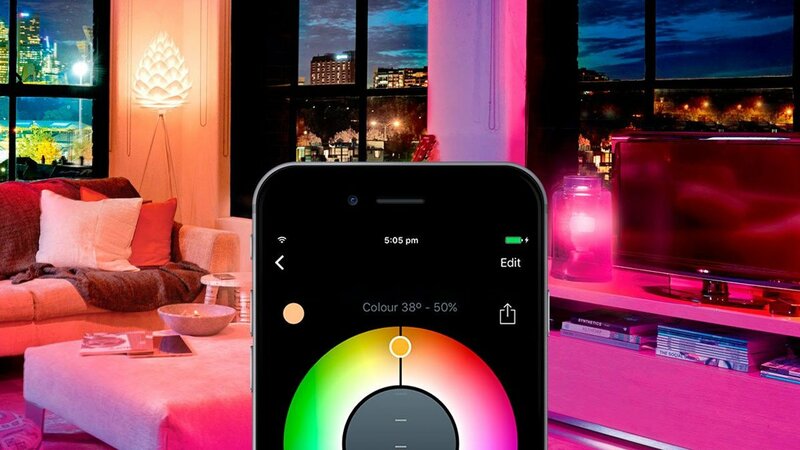 LIFX App is available for both iOS and Android Devices, with functionality provided for other devices such as the Amazon Echo, Nest Thermostat & Logitech Pop. With 16 million colors, various shades of white and brightness equivalent to a 75 watt bulb, it will definitely add some color to your home! The LIFX Bulb if fully functional with the Amazon Echo, and can be added under the Smart Home section in the Alexa app. When you create a name for your bulb in the LIFX App, that’s what you will be referring it as to Alexa. I personally had a problem when the bulb was named at just ‘light’, and had to switch it to something else such as ‘bulb’ or ‘lights’. I wasn’t able to find a fix for this issue unfortunately, however changing the name works. Overall, the LIFX Bulb was super easy to pair with my Alexa, and I havn’t had any issues since. There hasn’t been a single occasion where the bulb has had to be reset and/or reconnected to the Echo. If it’s late and people are sleeping, you can also add light controls to your widgets on iOS which is very helpful. Bulbs can also be grouped together, where Alexa can then turn on entire groups. For example, saying ‘Turn on Bedroom Lights’ could turn on 4 LIFX Bulbs at once. 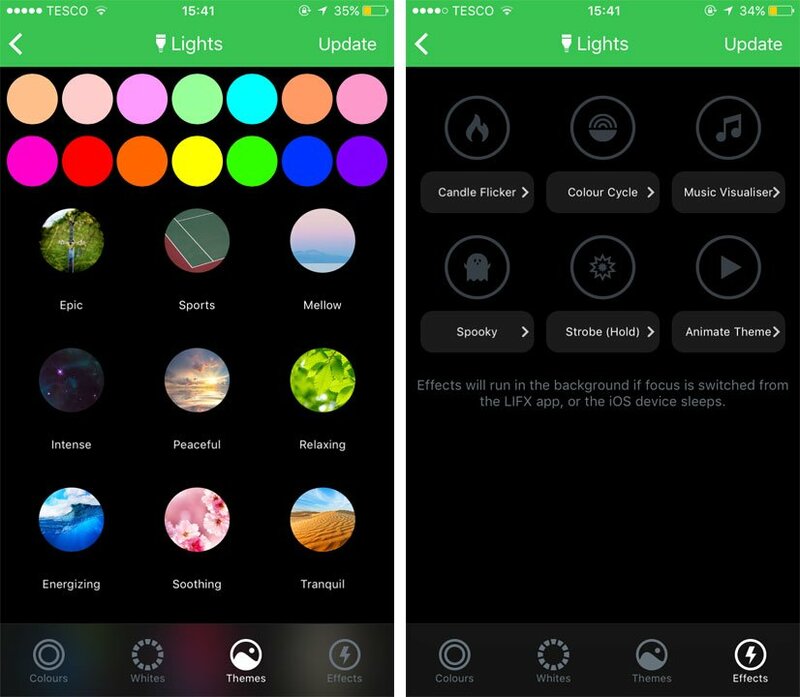 LIFX Bulbs use their own app, which is available on the Apple Store and Google Store. Surprisingly, there is also a Windows Store version available which can allow you to control the Smart Bulb from your Windows PC or Laptop. Once you’ve opened the LIFX App and have selected your bulb or group, you’ll be taken to the screen above. Along the bottom are 4 menus, Colors, Whites, Themes and Effects. Starting with the Colors menu, you will see a color wheel. It’s here that you can fine tune your selection. You start by choosing your preferred color by dragging on the wheel to spin it round. Next, you select the circle and drag it up or down to choose the saturation, and finally the giant circle in the middle can be dragged up or down to choose the brightness. A large power button is also provided at the bottom to switch the LIFX Bulb on or off. Next, we have the ‘Whites’ section. Here, we are given around 16 Shades of white, all named. Again, we can drag the centre wheel to controll the brightness of the bulb. Our two final menus consist of Themes and Effects. In the themes menu of the LIFX app, you can find configurations such as Energizing and relaxing, which effects the color of your bulb. I personally don’t find myself using this feature very often, but it’s still great to have. In the Effects page, you can find 6 different options. Ones that stand out include Candle Flicker, which will make your bulb flicker gently. It’s worth noting that all of these effects can be configured in so many different ways. A music visualiser effect is also provided, where it will listen through your phones microphone and effect the intensity of the light. Is the LIFX Smart Bulb worth purchasing? Definitely. There’s no doubt about it, the Bulb is so easy to set-up and use. 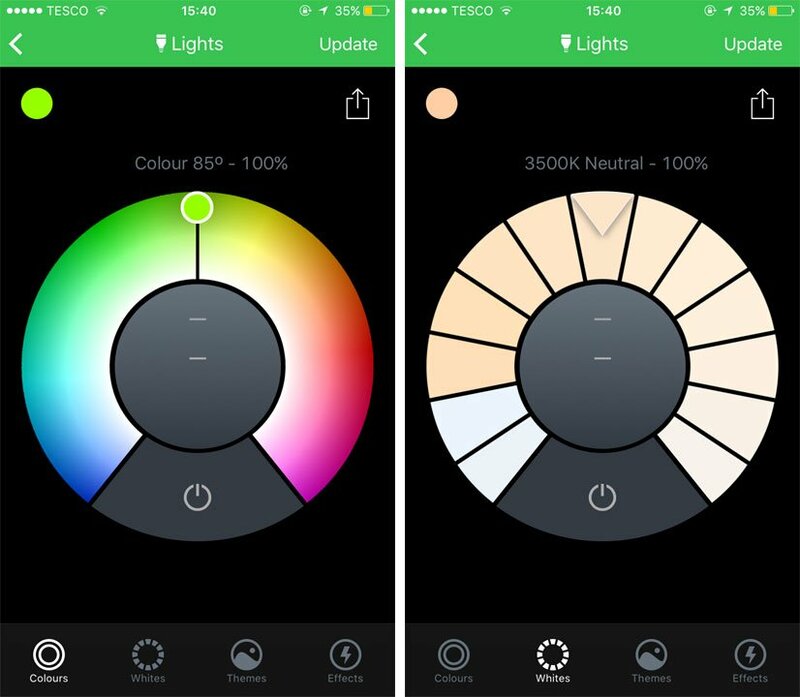 When comparing it to other smart bulb setups on the market, such as Philips Hue, LIFX stands out. With no central HUB being required for the bulb, it makes it one of the best choices right now by reducing costs, electricity and how many electronics need setting up and pairing together. The LIFX Color 1000 is by far one of the best choices when it comes to Smart Bulbs. It's flawless app and great design makes it a great contender amongst others. With native support for Amazon Echo, it makes a great addition to your smart home. The biggest advantage is it's low price and the fact that no hub is required. If you're looking to start introducing Smart Bulbs into your home, you should definitely consider using LIFX Bulbs.